Train operator Northern has apologised for the reduced service and cancellations on the Preston to Blackpool route. The apology comes as campaigner Sector Champion for Rail, Stephen Brookes wrote to Northern, Network Rail and the Office of the Rail Regulator, to complain about the situation. He said: “We now have a very deeply restricted and massively unreliable service between Blackpool and Preston after the supposed publicised reopening on April 16. Even today we are still seeing cancellations due to a driver shortage. “It really does seem that passengers are just not being taken as important. The added impact on people with access issues such as pre-booking help is becoming unacceptable. A Northern spokesman: “We would like to apologise for the delays and cancellations some passengers have been experiencing, especially over the last few weeks. “We know this has been causing people to be delayed reaching their destinations and for that we’re very sorry. 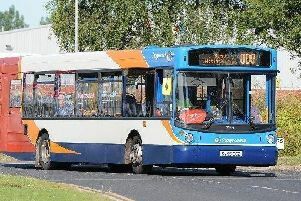 “The root cause of the delays and cancellations we are facing on some lines is the major engineering work to electrify the Blackpool line, which overran and was not handed back in time for us to train our 400 plus drivers who operate the routes around Blackpool.